Radlink’s experience in fleet management communications gives the certainty that you know where your assets are. We specialise in the design, implementation and maintenance of Point-to-Multipoint (PMP) and Point-to-Point (PTP) links and systems. We have access to a wide range of products in both un-licensed and licensed frequency bands, with throughput capacities to meet your system requirements. 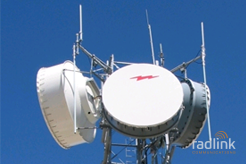 These systems can be integrated into fixed or mobile sites and provide coverage where it is needed. Stand-alone trailers can be moved with your operation to ensure a reliable and robust network. With customised power systems and experience with the major radio brands, we tailor to your requirements.